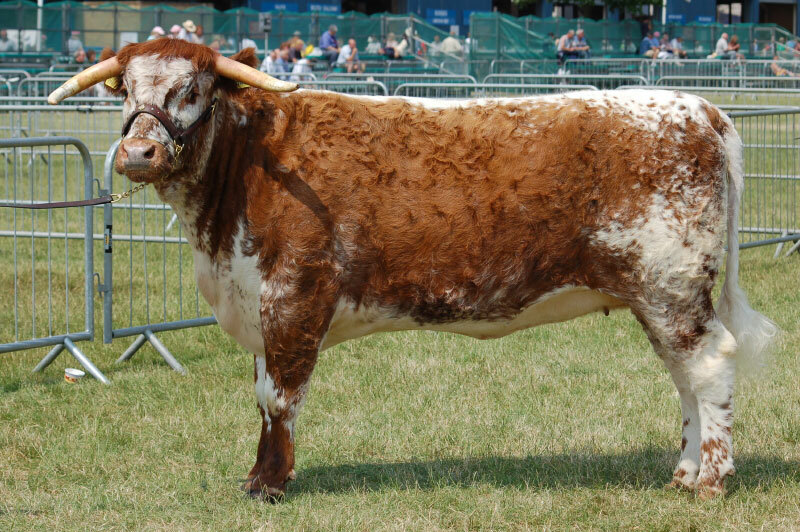 Robert Bakewell improved the old English breed of Longhorn cattle by breeding “in-and-in” to get the characteristics he wanted. The Longhorn had been used in the midlands for centuries as a draught animal, for ploughing and drawing carts, as well as for milk and cheese. It has a kind temperament, and is a good dual-purpose animal. When its working days were over, it provided excellent meat as well as the hide for leather, the horns and hoofs for glue and the bones for fertiliser. 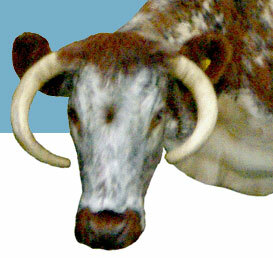 Longhorns are generally brindle in colour, white down the spine and under the body. The horns can either spread or curve round the face. All the Longhorns in the picture gallery are from the Blackbrook Longhorn Herd. Bakewell improved the local breed of black working horse by crossing it with Continental stock from Holland and Germany. The eventual result was the horse we now know as the Shire horse. The illustration shows the difference between the old breed and Bakewell’s improved breed. 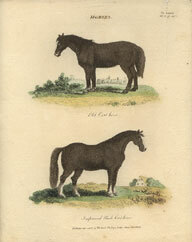 The horse was seen and admired by King George III – “Farmer George”. The picture gallery also shows the famous New Leicester sheep bred by Robert Bakewell at Dishley Grange. They had small heads, short legs and a stocky body with an almost level profile along the back. They provided plenty of fat meat at affordable prices to the growing population of the towns in the Industrial Revolution. They also provided wool and lanolin. The rams were much in demand for breeding and Bakewell could charge high prices for letting them. 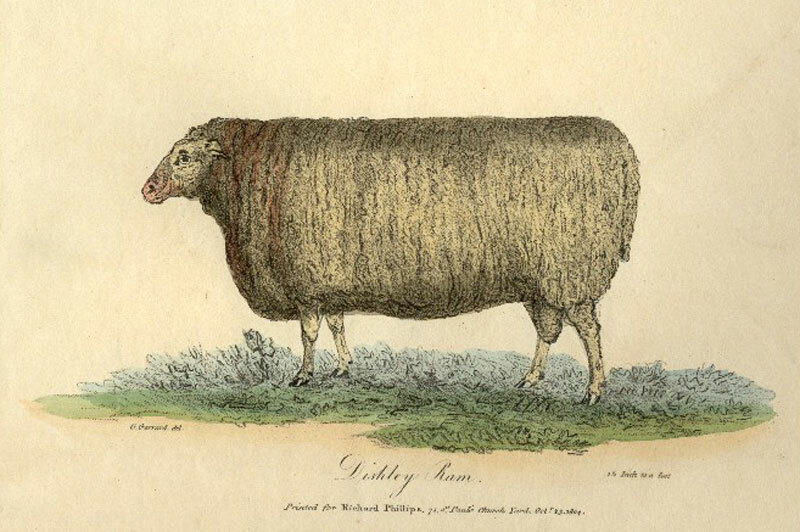 The Galway sheep is a close descendant. The animals supplied tallow, another essential item for contemporary life. Tallow was used for cheap (and smelly!) lighting and for lubrication before mineral oils were available. Further information is now available about the history of the Speeton Flock of Leicester Longwools which can be traced back to Robert Bakewell himself. It is known that Bakewell was interested in pig breeding too, but no evidence on this seems to have survived.